Valencia CF: Mathieu Valbuena in Ever Banega out? Mathieu Valbuena in Ever Banega out? 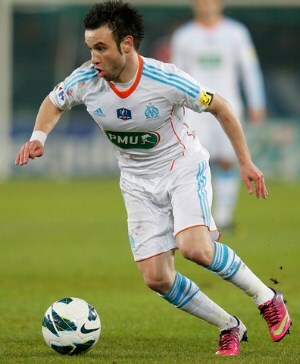 Valencia CF is looking into bringing Mathieu Valbuena from Marseille it seems and this could only mean one thing; Ever Banega who Marseille are interested in will be going out of Valencia CF and joining Marseille, while Mathieu Valbuena will be joining Valencia CF. Chances are Marseille can't afford the 10 million asking price of Valencia CF for Ever Banega and they are offering a player and lower amount of money, possibly paying 3/4 million and offering Valencia CF a choice between 2/3 players, with Mathieu Valbuena likely the best of the choices that Valencia CF can get. As you all know Ever Banega didn't even make the Argentinian squad for the world cup and Valencia CF is looking to offload the player until he is still worth a decent amount of money and Marseille are one of the teams interested in brining Ever Banega to their ranks, among few other clubs from the Premier League.